An oval shaped cocktail hat, comprising two teardrop sinamay bases covered with opulent black iridescent feathers. 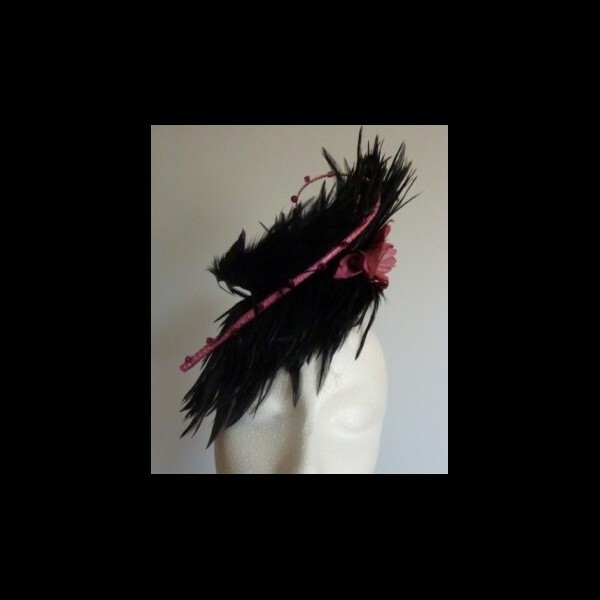 A vibrant pink quill curls gracefully around the hat, the quill itself being entwined with silver wire and fuchsia Swarovski bicone beads. Completed with a matching pink rose. An oval shaped cocktail hat, comprising two teardrop sinamay bases covered with opulent black iridescent feathers. 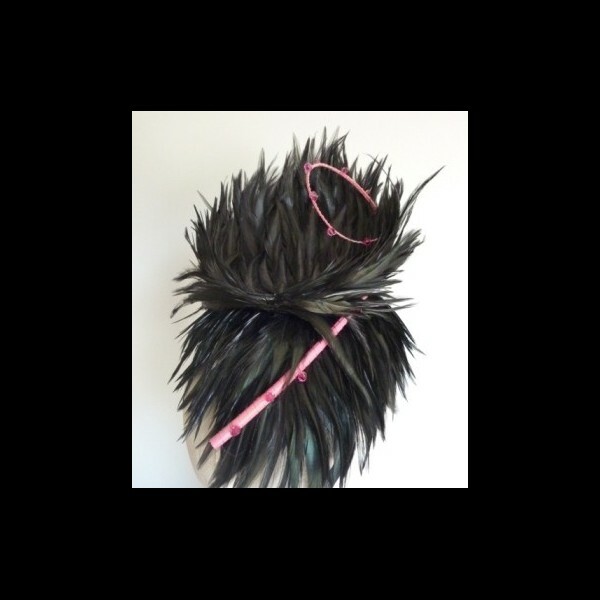 A vibrant pink quill curls gracefully around the hat, the quill itself being entwined with silver wire and fuchsia Swarovski bicone beads. 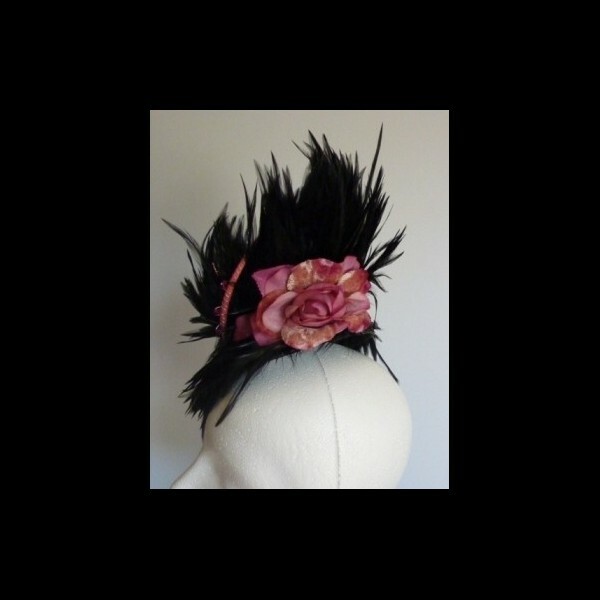 The hat is completed with a matching pink rose. The hat is approximately 11”/28cm in height and 7”/18cm wide. 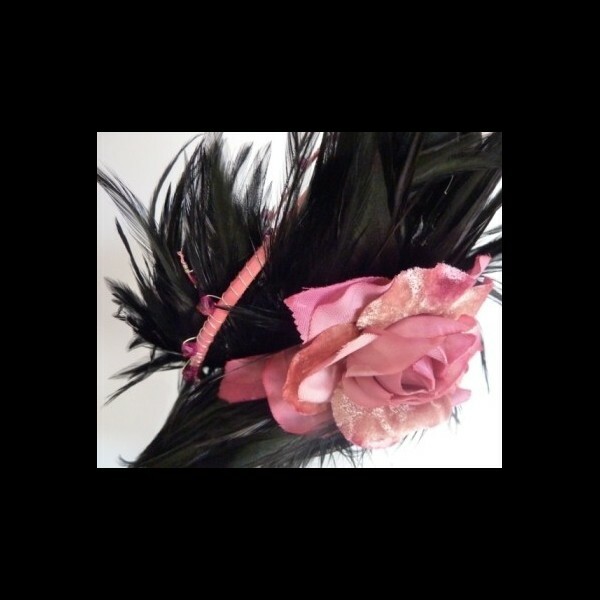 To be worn to the front of the head, with the lowest edge of the feathers just trailing over one eye.